The Hall of Fame was launched in 2009 by Meetings + Incentive Travel Magazine and is now carried forward by CMEExpo, Canada’s largest tradeshow and conference for meeting and event professionals. 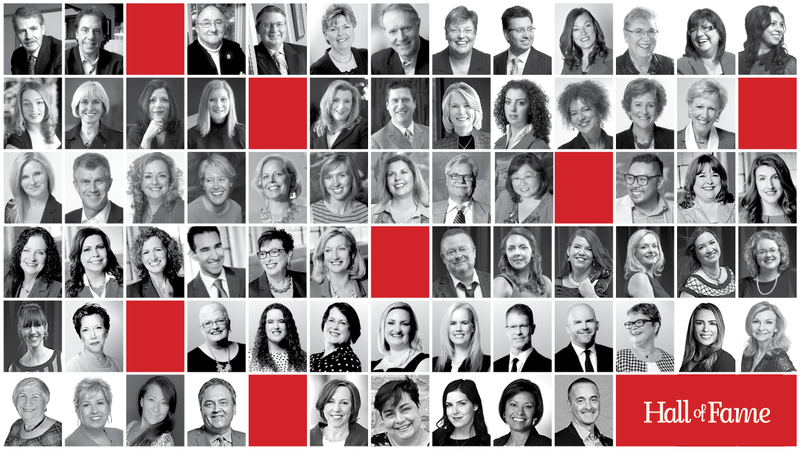 The mandate of the Hall of Fame is to recognize and celebrate individuals who have distinguished themselves in the Canadian meetings and incentive travel industry. It is the only independent awards program for event professionals and suppliers in the country. Hall of Fame inductees are selected from nominations put forth by industry peers in seven categories: Volunteer, Builder, Planner, Innovator, Mentor, Rising Star and The Big Idea, which was introduced in 2014. An “Industry Veteran” award is given out to individuals at the discretion of CMEExpo and the Hall of Fame judging panel. Since its inception, 63 industry leaders have been inducted into the Hall of Fame. The 2019 Hall of Fame inductees will be revealed on August 14th at the Canadian Meetings + Events Expo, Canada’s leading tradeshow and conference for business events professionals.